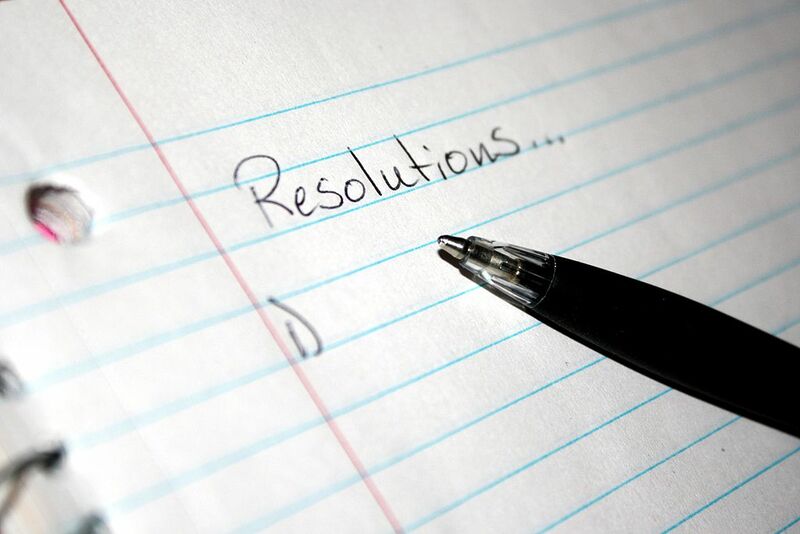 Are you one of those people who make New Year’s resolutions? That moment, when the old year draws to a close and the new year stands open before us, can seem a particularly appropriate time to take stock of our lives, and resolve that things will be different from now on. Many, feeling the effects of the Festive Season, resolve that they will lose weight and get fit: diet programmes are embarked upon; fitness equipment is purchased; health club membership soars. Others aim to improve their health by giving up smoking or by drinking less or by trying to reduce the stress in their lives. Some decide that they will improve their work and financial situation: by getting a better job or by saving some money or by paying off debts. Others want to expand their horizons by travelling or by learning something new; and still more resolve to spend more time with family and friends, and perhaps even find true love. For many the aim is simply to enjoy life more. Whether or not we make New Year’s resolutions, we all of us have a desire for change. Even the most contented will allow that their lives are not everything that they would want them to be – and most of us will surely accept that we are not the person that we want ourselves to be, nor the person that God wants us to be either. We know that we mess up and need to repent and receive forgiveness and allow ourselves to be transformed by God’s Holy Spirit. Jesus underlines the importance of his message by introducing it with the words, “I tell you the truth”. Whenever he uses this expression we know it is a sign that we really need to sit up and take note. What he is about to say is not simply true – after all, Jesus never spoke anything but the truth – but is a Truth, with a capital “T”. It is something fundamental about the workings of the kingdom of heaven. The word Jesus uses when he speaks of our need to change means “to turn around, to change direction”. The implication is that if we are not becoming more and more childlike, then our lives are headed the wrong way. We might think that we are meant to grow up and become more adult; Jesus tells us that, on the contrary, we need in many ways to “grow down” and become more like little children. Taken from the chapter Change my book in As a Child: God’s Call to Littleness.